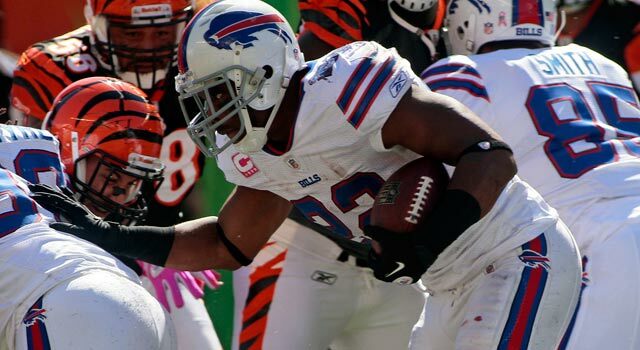 Published: Oct. 5, 2011 at 12:58 p.m.
Fred Jackson's immense 2011 success should continue in Week 5 against the Philadelphia Eagles. Start 'Em & Sit 'Em is the ultimate look at weekly matchups and how they'll affect your fantasy team. Sleeper alert features a player who's under the radar and could produce good numbers. Owners beware features a player who's a regular fantasy starter but could fail to meet expectations. For your final lineup decisions, check our lineup rankings. Byes: Browns, Cowboys, Dolphins, Rams, Ravens, Redskins. Fred Jackson vs. Eagles: If you were smart enough to draft Jackson, you landed one of the top fantasy bargains of the season. The Coe College product is fourth in fantasy points among running backs, and this week's matchup against the Eagles is extremely favorable -- their defense has allowed more fantasy points to runners than any other team. Matt Stafford vs. Bears (Mon. ): Owners might glance at this week's contest against the Bears and think Stafford has a poor matchup. But in both reality and fantasy, this is an attractive opponent for the quarterback position. Over the first four weeks of the season, the Bears have allowed the fourth-most fantasy points to opposing signal-callers. Cam Newton vs. Saints: Outside of his Week 3 matchup against the Jaguars that included torrential downpours, Newton has averaged close to 30 fantasy points per game on NFL.com. That's an amazing accomplishment for a rookie. I'd ride him while he's white hot against the Saints, who have allowed an average of 18.43 fantasy points to quarterbacks. Matt Ryan vs. Packers: Ryan has been a disappointment this season, ranking a mediocre 17th in fantasy points among quarterbacks on NFL.com. But if there were ever a week where he'll turn it around, it's this week against the Packers. Their defense has allowed the second-most fantasy points to quarterbacks, so Ryan should make a real impact. Mark Sanchez at Patriots: To describe Sanchez's Week 4 performance as terrible might be an understatement, as he recorded minus-2.94 fantasy points on NFL.com. Still, it's hard to look past the fact that his Week 5 opponent, the Patriots, have surrendered the third-most fantasy points to signal-callers. That makes Sanchez a legitimate option. Josh Freeman at 49ers: Freeman is coming off his best fantasy performance of the season, posting 24.18 points in a Monday night win over the Colts. Next on the schedule is a date with the Niners, who have a stout run defense but struggle against the pass. They have given up an average of 17.35 fantasy points per game to quarterbacks in 2011. Sleeper alert - Kevin Kolb at Vikings: With six teams on a bye, countless owners will be scrambling to find a quarterback. Enter Kolb, who hasn't been a great fantasy option this year but can still exploit a weak pass defense. This week he'll face the Vikings, who have allowed an average of close to 18 fantasy points per game to signal-callers. Ben Roethlisberger vs. Titans: The Steelers expect Big Ben (foot) to start this week, but he's a real risk from a fantasy perspective. Playing behind a terrible pass-blocking offensive line is a major concern, as is the fact that Roethlisberger's mobility will be limited due to his injury. The Titans are also tied for seventh in pass defense. Jay Cutler at Lions (Mon. ): Since Week 1, Cutler has averaged a meager 10.80 fantasy points on NFL.com. He's also just 24th in points at the quarterback position. Up next is a Monday night game against the Lions, who have allowed the fifth-fewest fantasy points to opposing signal-callers. That makes Cutler an ever greater risk for owners. Kyle Orton vs. Chargers: Orton's fantasy value has fallen this season, as expected, with Josh McDaniels no longer calling the offensive shots. A below-average 20th in fantasy points among quarterbacks, the Purdue product isn't a recommended one-week option this week against a Chargers defense that's been tough on quarterbacks in 2011. 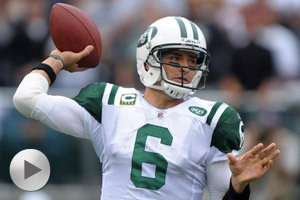 Matt Hasselbeck at Steelers: Hasselbeck will be a replacement starter in many leagues this week. Keep in mind, however, that the Steelers have allowed the fourth-fewest fantasy points to quarterback this season. I'd look for the Titans to run Chris Johnson a ton, especially with Steelers linebacker James Harrison out, so Hasselbeck's numbers won't be huge. Matt Cassel at Colts: A preseason bust candidate on NFL.com, Cassel has been even worse than we expected after four weeks. He's 30th in fantasy points at his position, and ranks just 12.04 points ahead of rookie Blaine Gabbert! The Colts haven't been great against quarterbacks, but it's extremely hard to trust Cassel even during the bye weeks. Owners beware - Matt Schaub vs. Raiders: Schaub will be active in a lot of leagues this week against the Raiders, who have allowed the seventh-most fantasy points in 2011. But how effective can Schaub be without Andre Johnson? In three games played while A.J. was injured last year, Schaub averaged 1.3 touchdowns and under 15 fantasy points. Beanie Wells at Vikings: Wells, a preseason sleeper on NFL.com, has been a solid addition for fantasy leaguers. He's scored at least one touchdown in each of his first three games and ranks seventh in fantasy points at his position. I'd ride him while he's hot against the Vikings, who have surrendered the 10th-most fantasy points to runners. Ahmad Bradshaw vs. Seahawks: One of the more versatile running backs in the league, Bradshaw is on pace to have a second consecutive stellar season with the Giants. He should build on his recent success against the Seahawks, who have surrendered an average of close to 18 fantasy points per game to running backs during their first four games. Darren Sproles at Panthers: Remember when Sproles was considered a PPR option alone? Well, he's now become a force in all fantasy formats. The veteran back out of Kansas State is an impressive 15th in points at his position on NFL.com and makes for a nice borderline No. 2 or 3 fantasy option against the Panthers and their poor run defense. Joseph Addai vs. Chiefs: Addai hasn't been the most consistent runner in fantasy football this season, but with six teams on a bye he's going to be active in plenty of leagues in Week 5. Luckily, he has a great matchup against the Chiefs -- their defense has allowed an average of 24 fantasy points per game to opposing running backs. Sleeper alert - Isaac Redman vs. Titans: With Rashard Mendenhall (hamstring) at less than 100 percent, Redman could see a prominent role for the Steelers this weekend. He's shown flashes of potential, averaging 4.9 yards per carry while seeing limited work in his first four games. If Mendenhall were inactive, Redman's stock would soar. Frank Gore vs. Buccaneers: Gore will be active in most fantasy leagues during the bye weeks, especially coming off a great performance against the Eagles. However, keep in mind that outside of Adrian Peterson's huge game in Week 2, the Buccaneers have allowed an average of just 6.06 fantasy points to the opposition's starting running back. DeAngelo Williams vs. Saints: Williams wasn't terrible last week, but scoring 8.20 fantasy points isn't exactly going to get owners overly excited. Next on the schedule is a game against the Saints, who have given up an average of just 14.80 fantasy points per game to running backs. That makes Williams a major risk as a potential starter. Cedric Benson at Jaguars: The Jaguars have done a nice job of defending the run this season, allowing just two rushing touchdowns and an average of just over 15 fantasy points per game to runners. So while it's hard to bench a featured back like Benson at this time, don't be surprised if his numbers are less than stellar in this AFC clash. Knowshon Moreno at vs. Chargers: Moreno was active last week for the Broncos, but it was Willis McGahee who saw most of the backfield burn for coach John Fox. Whether the Georgia product is more involved in the offense this week remains to be seen, but fantasy leaguers simply can't trust him -- especially against the San Diego Chargers. Marshawn Lynch at Giants: Unless you have Sidney Rice, there isn't one member of the Seahawks to start with confidence this week. That includes Lynch, who has averaged a miniscule 6.27 fantasy points in his first four games. Unless you're desperate for a flex starter in a league with 12-plus teams, it's best to keep Lynch on the sidelines. Owners beware - LeGarrette Blount at 49ers: Blount is coming off a huge performance against the Colts, posting 127 rushing yards and one touchdown. While he will be hard to bench coming off such a solid start, keep in mind that the Oregon product will be facing a Niners defense that has allowed the fewest fantasy points to runners. Steve Smith vs. Saints: Remember when Smith's value was all but buried and dead? Well, the veteran has been resurrected with Newton at the helm of the Panthers offense. Outside of Week 3, he's posted no fewer than 13.60 fantasy points on NFL.com. Smith should remain active against the Saints, who have struggled to stop the pass. Santonio Holmes at Patriots: Holmes has been brutal this season, and that's an understatement. After four weeks, a total of 51 wideouts have scored more fantasy points. With that said, this could be the week that he breaks out of his statistical slide -- the Patriots have allowed more fantasy points to wide receivers than any team. Jordy Nelson at Falcons: Nelson, a preseason sleeper on NFL.com, is on pace to have his best year at the pro level. On pace for better than 1,100 yards, the Kansas State product should continue to produce in what figures to be a shootout at the Georgia Dome. The Falcons have allowed the ninth-most fantasy points to wide receivers. Julio Jones vs. Packers: Jones is making some noise in recent weeks, averaging 11.65 fantasy points while also seeing nearly as many targets than his teammate, Roddy White. The rookie should be considered a nice No. 3 option against the Packers, who have surrendered the third-most fantasy points to wideouts after the first four weeks. Percy Harvin vs. Cardinals: The 34th-ranked wideout based on fantasy points on NFL.com, Harvin hasn't been a consistent option for owners this season. But with a favorable matchup against the Cardinals next on the slate, he should remain active in most leagues. Arizona has surrendered the sixth-most fantasy points to wide receivers. Sleeper alert - Mike Williams at 49ers: As we predicted on NFL.com, Williams is enduring a sophomore slump that has him rated a meager 54th in fantasy points at his position. Still, this is a good week to roll the dice on the Syracuse product -- the 49ers have allowed the fourth-most fantasy points to wideouts after four games. Brandon Lloyd vs. Chargers: Lloyd put up eight catches for 136 yards last week, but that came against a Packers defense that allows a ton of fantasy points to wide receivers. This week he faces a tougher challenge against the Chargers, who have given up the ninth-fewest points to the position. Start Lloyd with caution in Week 5. Marques Colston at Panthers: Colston returned to action last week, but he played in just 20 of 81 offensive snaps. While his time on the field should slowly increase moving forward, it's tough to trust him until he shows some signs of statistical life. The Panthers have also allowed the 10th-fewest fantasy points to wideouts. Mike Thomas vs. Bengals: Thomas has been one of the most targeted wide receivers in the league -- he's fifth among wideouts behind Wes Welker, White, Calvin Johnson and Steve Smith -- but he's still a risk in Week 5. Through the first four weeks, the Bengals have surrendered the second-fewest fantasy points to wide receivers. Mario Manningham vs. Seahawks: A potential sleeper in the preseason, Manningham has instead been asleep in the stat sheets. He's not even in the top 75 in fantasy points at his position, and teammate Victor Cruz has earned a more prominent role in the Giants pass attack. Until he wakes up, Manningham needs to be on the bench. Nate Washington at Steelers: In the three games where he started opposite Kenny Britt, Washington averaged a respectable 10.6 fantasy points. In his first start without him, he put up a less impressive 6.2 points. Against a Steelers defense that has allowed the third-fewest fantasy points to wideouts, I'd bench Washington. Owners beware - Steve Johnson vs. Eagles: If you have Johnson on your roster, chances are you'll be starting him -- and you should unless you have depth at wide receiver. Keep in mind, though, that the talented Kentucky product will have to go up against CB Nnamdi Asomugha, one of the league's top cover cornerbacks. Tony Gonzalez vs. Packers: Reports of Gonzalez's statistical demise have clearly been exaggerated. The future Hall of Famer is third in fantasy points at his position, based on the strength of his four touchdowns. He's a solid option against the Packers, who have allowed close to 10 fantasy points per game to tight ends. Brandon Pettigrew vs. Bears (Mon. ): Pettigrew has been an inconsistent option for owners after four weeks, but he's a nice option against the Bears on Monday Night Football. No defense has allowed more fantasy points to tight ends than the Bears, so look for Stafford to look in Pettigrew's direction in the pass attack. Greg Olsen vs. Saints: Ranked eighth in fantasy points at his position on NFL.com, Olsen has become a popular target in the pass attack for Newton. Next on the slate is a game against the New Orleans Saints, who have allowed the fourth-most fantasy points to opposing tight ends. That makes Olsen a solid option across the board. Sleeper alert - Jermaine Gresham at Jaguars: Fantasy owners looking for a bye-week option at tight end should consider Gresham. Ranked eighth at his position with 28 targets, the Oklahoma product has become a reliable option for Andy Dalton. Gresham also faces a Jaguars defense that has struggled against tight ends in 2011. Kellen Winslow at 49ers: Winslow has had an unspectacular start to the 2011 season, scoring a combined 16.30 fantasy points in his first four games. What's more disturbing is that rookie Luke Stocker is starting to see more targets from Josh Freeman in the pass attack. At this point, Winslow needs to be on the fantasy sidelines. 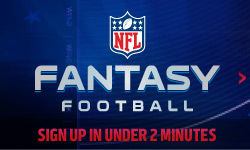 Watch NFL Fantasy Live on weekdays at 1 p.m. ET and on Sundays at 11:30 a.m. ET. Marcedes Lewis vs. Bengals: Lewis was one of fantasy's top-scoring tight ends in 2010. But this season, a combined 41 players at his position have scored more fantasy points. The Saints have been vulnerable to tight ends, but can Blaine Gabbert get the Jags into a position to use Lewis in the red zone? It won't be often. Kevin Boss at Texans: Owners looking for a one-week option at tight end should avoid Boss, despite his 78-yard performance against the Patriots. This week's opponent, the Texans, have given up the sixth-fewest fantasy points to tight ends. And with most of the Raiders wideouts back, Boss' targets could be limited. Owners beware - Dustin Keller at Patriots: Keller is coming off his worst fantasy performance of the season, as he scored a mere 1.20 points in a loss to the Ravens. This week he'll face the Patriots, who have given up an average of just 5.95 fantasy points to tight ends. That includes shutting out Antonio Gates in Week 2. Jason Hanson vs. Bears (Mon. ): Hanson, 41, has shown that even the oldest kickers can make an impact in fantasy land. In fact, he's posted three straight double-digit performances. With the Lions offense clicking on all cylinders and a matchup against the Bears next, Hanson needs to be added and active in all leagues. John Kasay at Panthers: Much like Hanson, Kasay is an older kicker who has seen his fantasy value rise behind an explosive offense. The veteran would love nothing more than to put up a nice stat line against his former team, the Panthers, who have allowed an average of close to 10 fantasy points to kickers. Adam Vinatieri vs. Chiefs: It hasn't been a good season for Vinatieri, who ranks just 21st among kickers in fantasy points. But if you're looking for a one-week option, he's worth a look against the Chiefs. They have allowed the sixth-most fantasy points to kickers, allowing an average of 9.50 per game. Sleeper alert - Nick Novak at Broncos: Novak is coming off a solid 14-point performance against the Broncos and has scored a combined 22 points in his last two games. This week he faces the Broncos, who have given up close to nine fantasy points per game to kickers. He's well worth a look during the bye week. Nick Folk at Patriots: Folk, who finished in the top five in fantasy points at his position last season, is a respectable 13th among kickers after four week. This week's road matchup against the Patriots is anything but favorable, however. They have allowed the fifth-fewest fantasy points to opposing kickers. Alex Henery at Bills: Henery has the potential to be a No. 1 fantasy kicker -- he's 11th in points at his position on NFL.com. But don't be surprised if he has a rough afternoon against the Bills. After the first four weeks, the boys from Buffalo have allowed the fourth-fewest fantasy points to kickers. Rob Bironas at Steelers: Once considered an elite option in fantasy land, Bironas' stock has tumbled in recent seasons. The 23rd-ranked kicker based on fantasy points on NFL.com, he should be benched against the Steelers. Their defense has given up an average of 7.33 fantasy points to kickers in 2011. Owners beware - David Akers vs. Buccaneers: Akers might have switched teams, but he's still one of the better kickers in fantasy football as a member of the 49ers. However, he could be in for a mediocre week against the Buccaneers -- they've allowed an average of just barely seven fantasy points to kickers. Giants defense vs. Seahawks: Until we are proven wrong, the defense facing the Seahawks will almost always be listed in the start 'em portion of this column. Enter the Giants, who will host Tarvaris Jackson and crew on their home turf. Even with a banged up unit, the G-Men are still a solid fantasy option. Lions defense vs. Bears (Mon.) The Lions have become a top-10 fantasy defense in 2011, and facing Cutler and the Bears makes them even more attractive. Defenses facing the Windy City crew have averaged the 10th-most fantasy points, and the Lions will be fired up in front of a national television audience. Titans defense at Steelers: An underrated fantasy defense, the Titans rank an impressive eighth in fantasy points at the position. This week they'll go up against the Steelers, who are giving up a ton of sacks and fantasy points -- in fact, defenses facing them have scored the fourth-most fantasy points. Sleeper alert - Bengals defense at Jaguars: If you're in a deeper league and need a defense, take a chance on the Bengals in their road matchup against rookie Blaine Gabbert and the Jaguars. Defenses who have faced this team have averaged the sixth-most fantasy points through the first four weeks. Jets defense at Patriots: It's going to be tough to sit the Jets, who field one of the more productive defenses in fantasy football, during a bye week. Just keep in mind that defensive units facing superstar quarterback Tom Brady and the Patriots have averaged the second-fewest fantasy points. Falcons defense vs. Packers: Is it just me, or does the Sunday night game between the Packers and Falcons have shootout written all over it? When you consider that Atlanta's defense couldn't stop the Seahawks last week, it's obvious that this unit will be in trouble against Aaron Rodgers and the Pack. Steelers defense vs. Titans: Sit the Steelers defense? At this point, it might be time to drop them. This unit is 23rd in fantasy points at the position on NFL.com, and this week's matchup against the Titans is not attractive. In fact, defenses facing them have averaged just four fantasy points per game in 2011. Owners beware - Bears defense at Lions (Mon. ): The Bears are fifth in fantasy points among defenses on NFL.com, so this is a tough unit to bench during the bye weeks. However, owners need to beware due to the fact that defenses facing the Lions have averaged the fourth-fewest fantasy points this season. Michael Fabiano is an award-winning fantasy football analyst on NFL.com. Have a burning question for Michael on anything fantasy football related? Send it to AskFabiano@nfl.com or tweet it at Michael_Fabiano!